Montessori Preschool at Cypress Creek is located at 11103 Mills Road, Cypress, TX 77429. 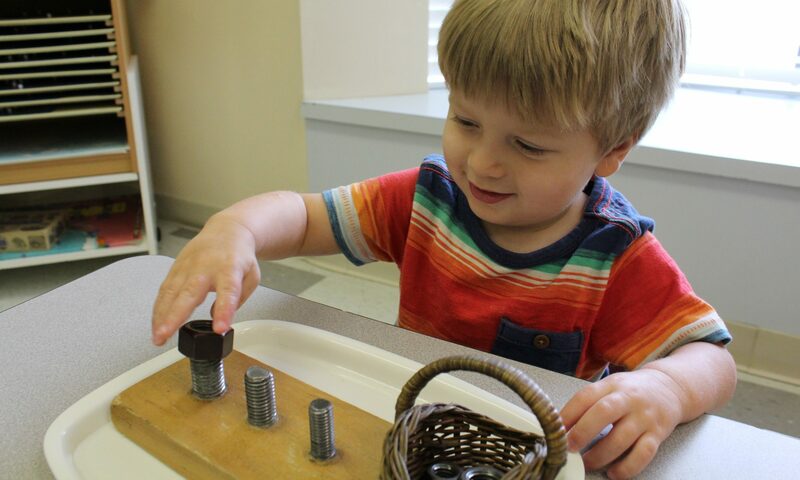 As one of the first Montessori schools in the Cypress area, Montessori Preschool at Cypress Creek is nestled away from the hustle and bustle of Jones Road traffic, with convenient access to Highway 249 and Highway 290. The school is conveniently located across the MET Church, Matzke Park, and the former Matzke elementary campus, serving families from Lakewood Forest and Longwood as well as employees at CFISD, Lone Star College – University Park, Hewlett-Packard, and local hospitals. The school was originally built in the late 1970’s. Over its 30+ years, the school gained prominence for its commitment to Montessori ideals; its small, family-like atmosphere; and local flavor. Many local Montessorians in Cypress completed their internships and training on this campus. The schools boasts large, sun-lit classrooms, with an airy deck for summertime ice cream parties; grand 50-year old pine trees that offer shade year round; and a 1/2 acre playground with ample space to run and play.